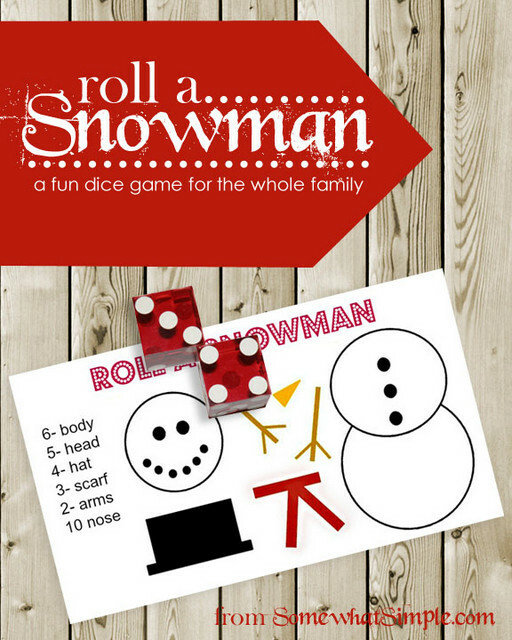 What’s crafting in winter without a snowman! Making snowman in winter is not only creative but exciting. 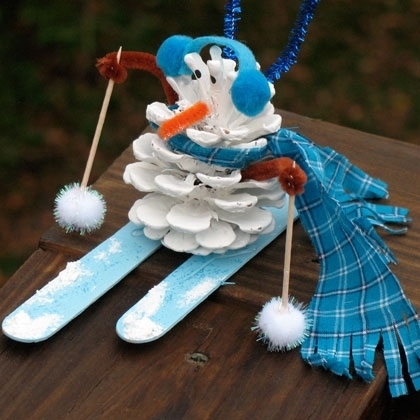 Creating crafty snowmen is not only limited to kids. 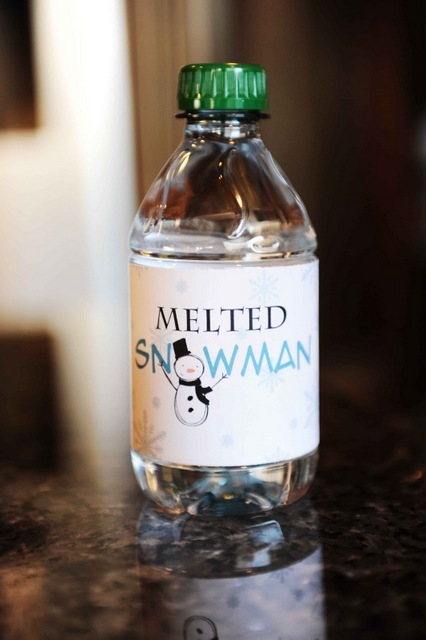 But we can also make DIY snowman for decorating home also. Especially with Christmas and Holidays coming in winter. Some of these snowman tutorials are genius. 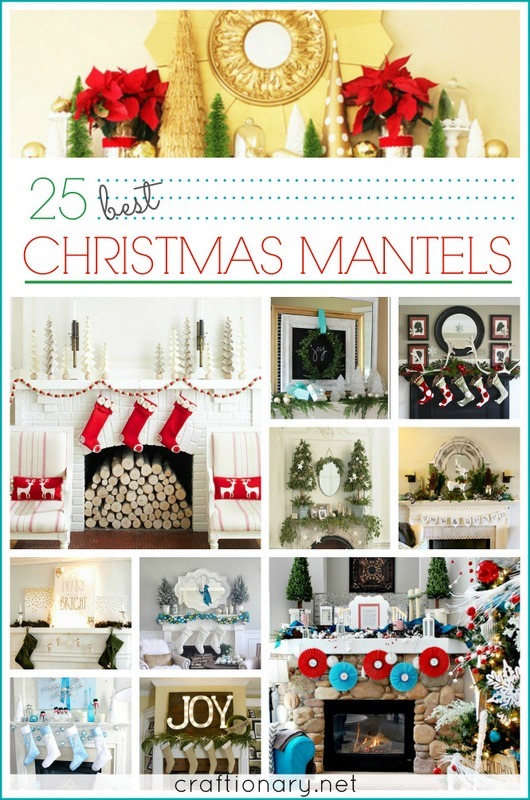 You can make and decorate throughout the year with them also. 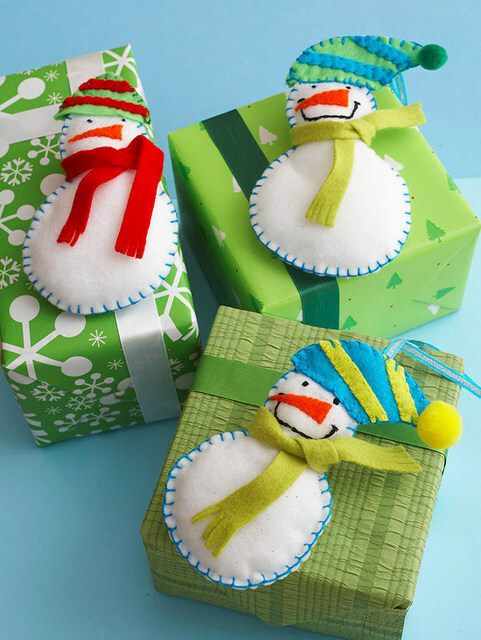 Use leftover fabric to make stuffed snowmen. 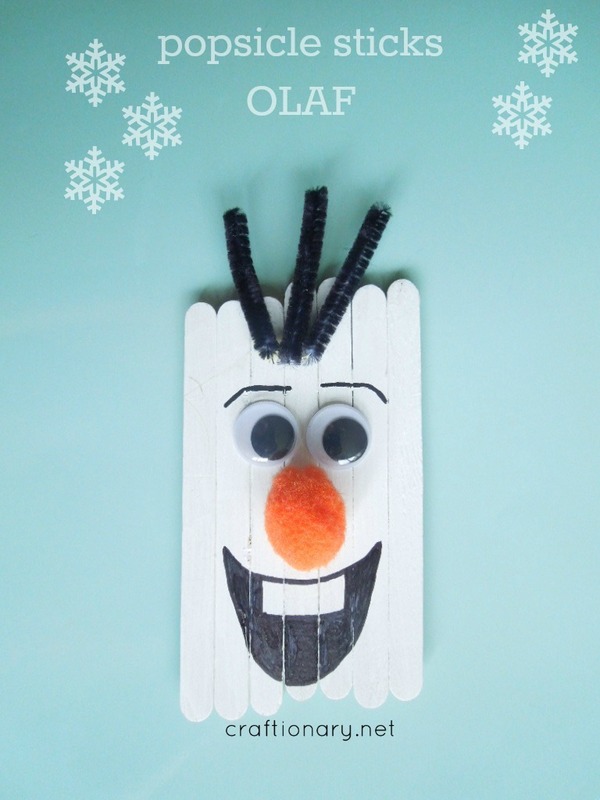 A fun winter craft to make with kids. 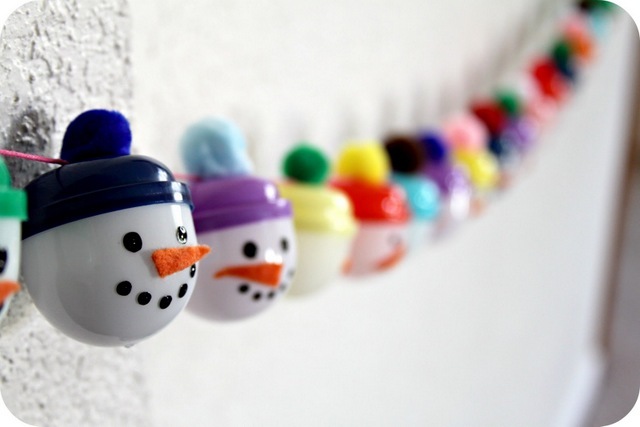 Adorable advent calendar snowman garland made with plastic capsules. 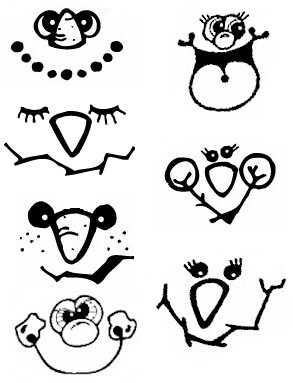 These printable faces are so cute. 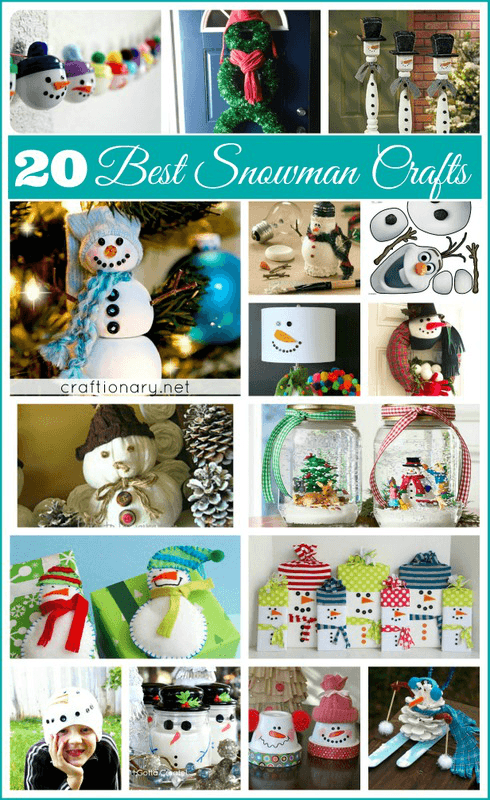 And can be used in making such adorable snowman crafts. 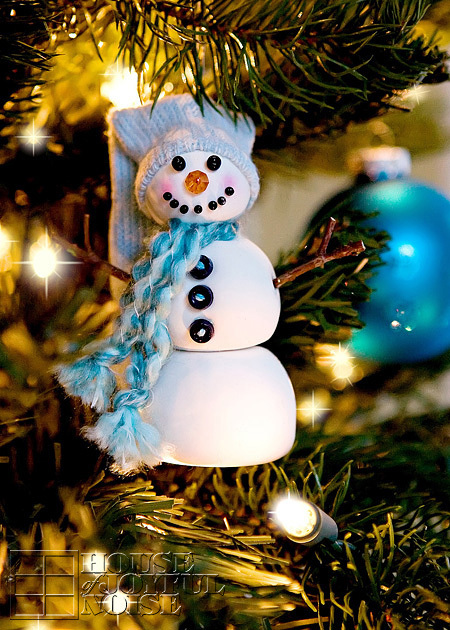 Make snowman ornaments with clay. 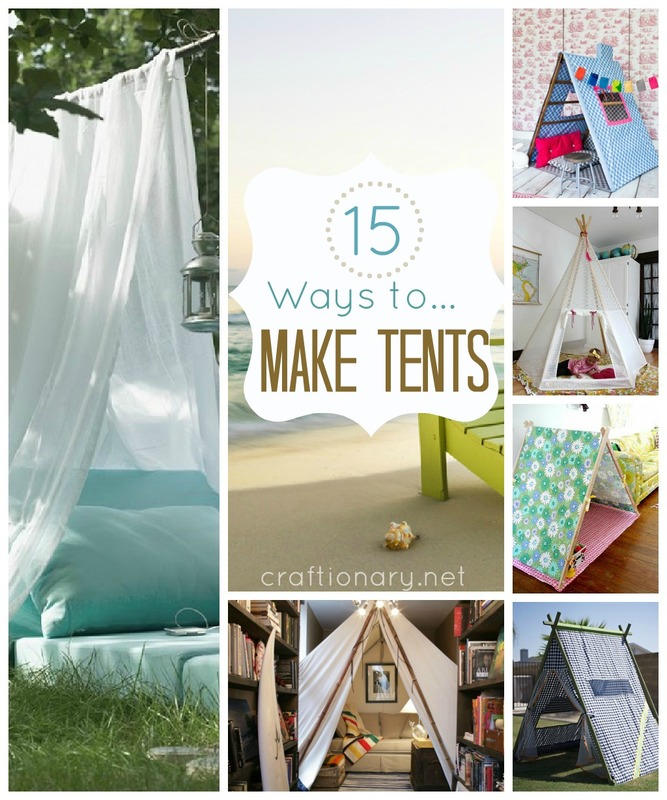 Love how easy it is to make! Oh my word! 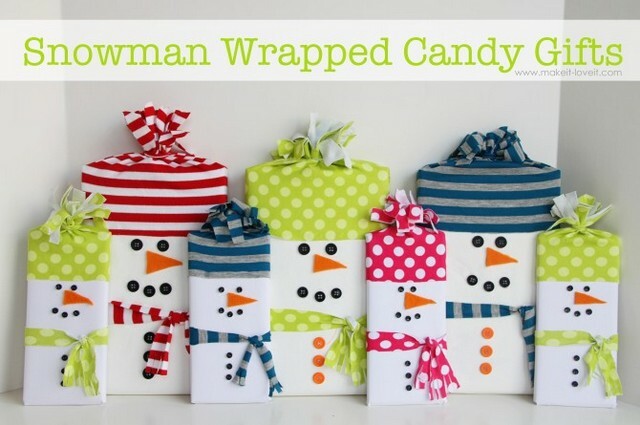 Adorable snowman gift wrapping idea. 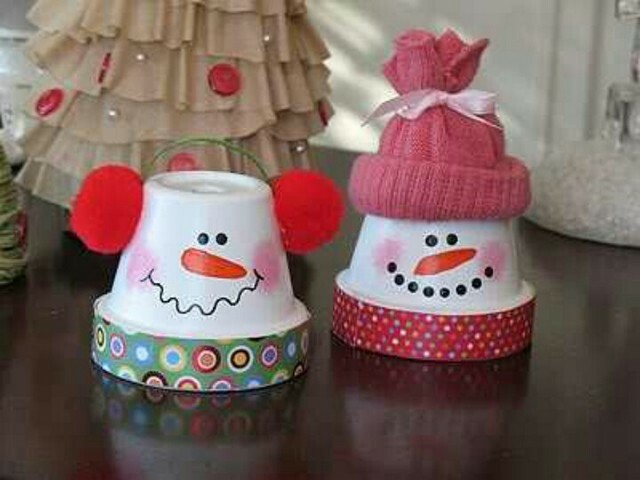 Turn simple pots into snowmen with paints. Fun to do with kids. 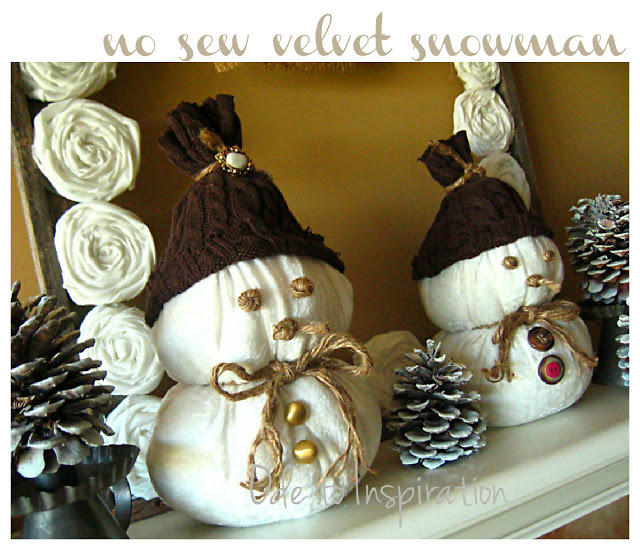 Make felt snowmen. 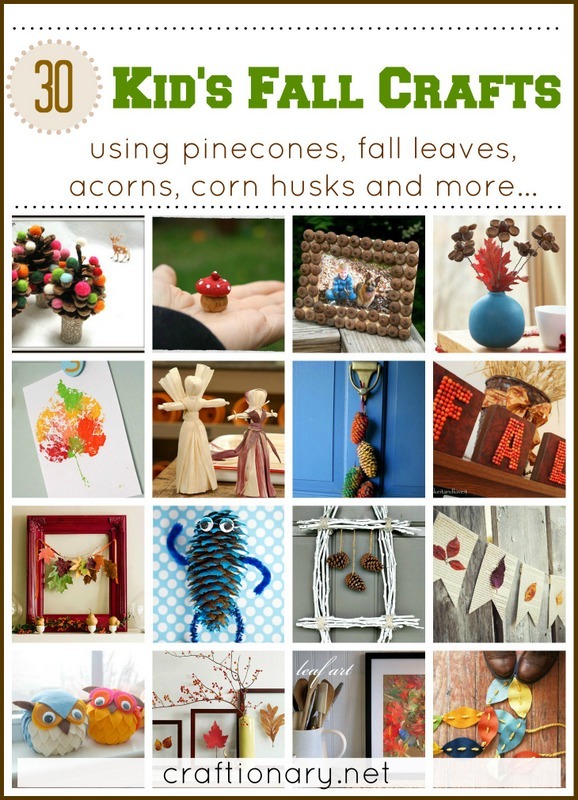 Great as ornaments, gift tags, garlands and so much more. 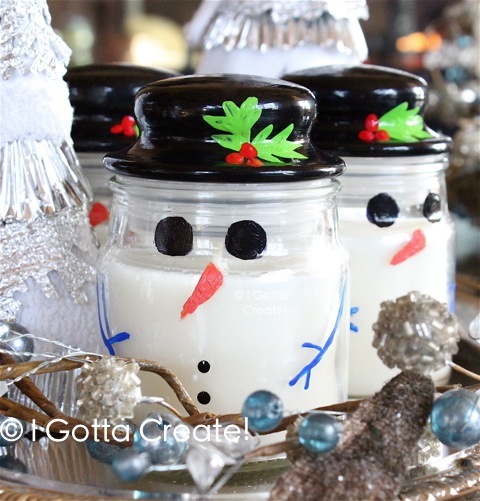 Paint simple dollar store candles as snowmen. 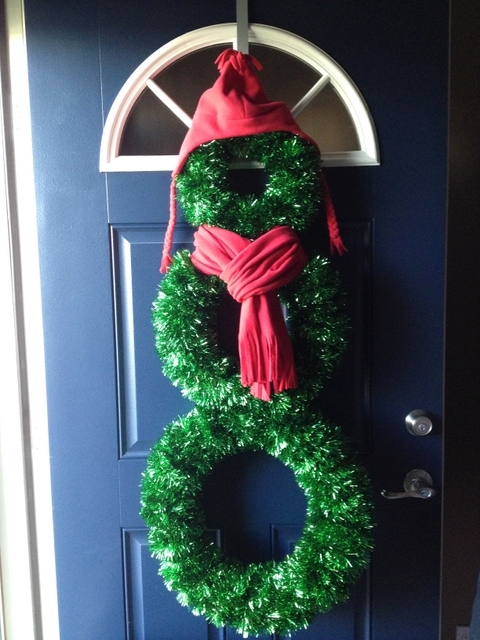 Use three different size wreaths to make this beautiful door hanging. This made me laugh. Genius idea! 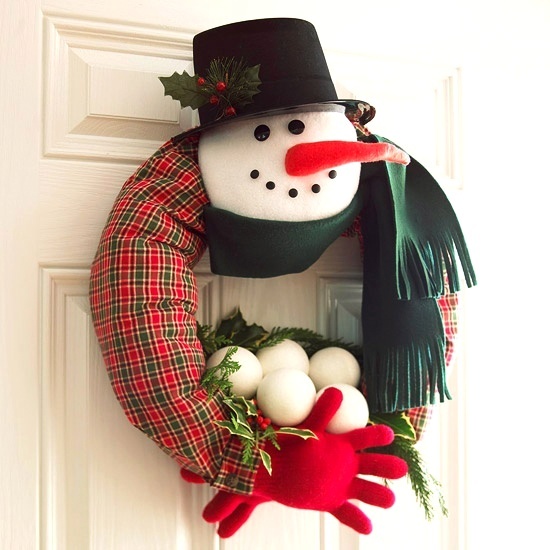 Make a snowman wreath with fabric and styrofoam. So adorable! 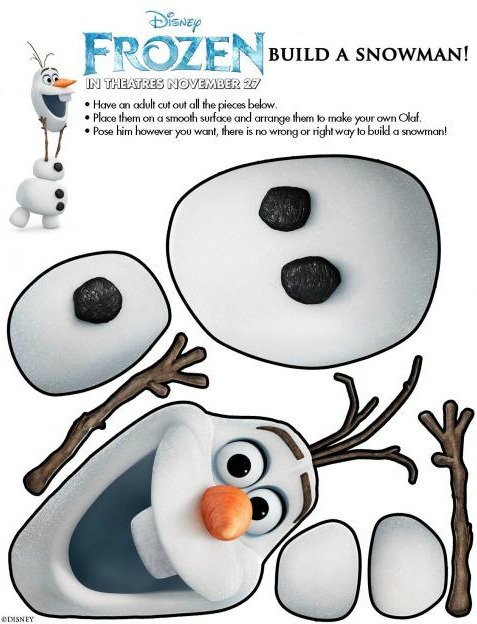 Printable Frozen snowman activities for kids. 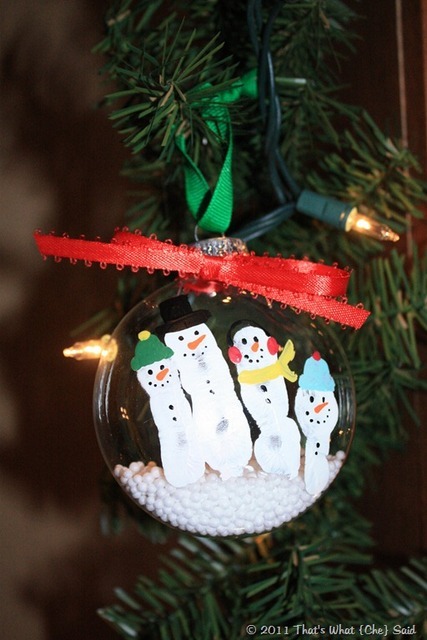 Make snowman ornaments with fingerprints. 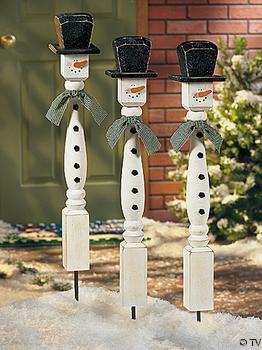 Buy $3 spindles from lowes to create these fun snowmen for outdoor decoration. 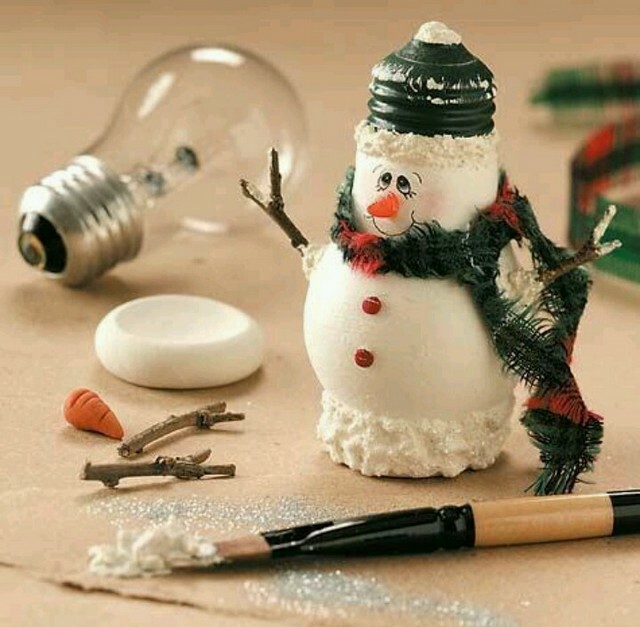 Recycle fused bulb into adorable snowman like this one. I want to do this in next winter, when my son will have his own room. 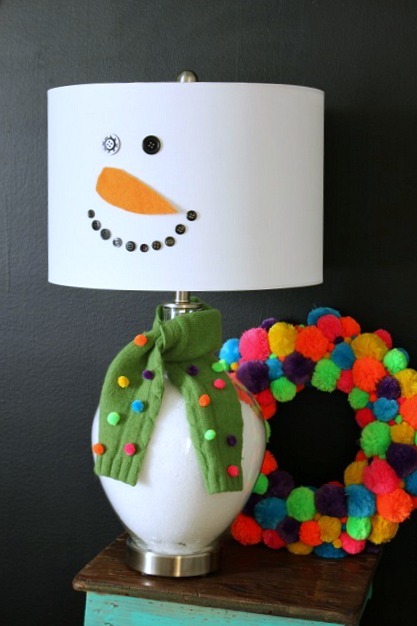 Use buttons and felt to turn your lamp into a snowman. 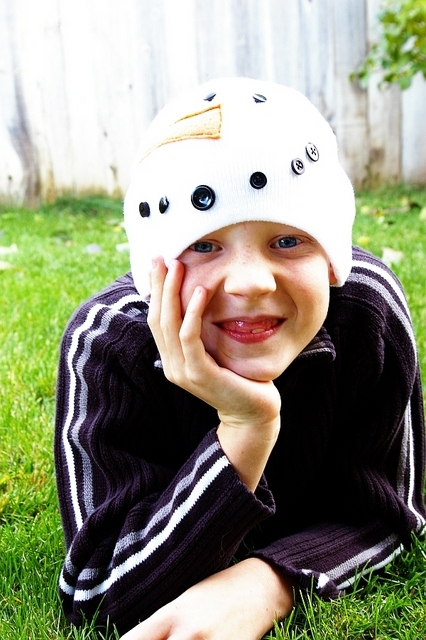 Love the pom pom muffler too. 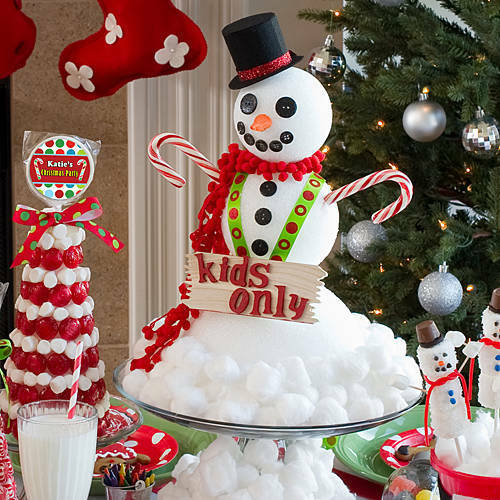 Make a snowman centerpiece with cotton and syrofoam. I love snow globes. 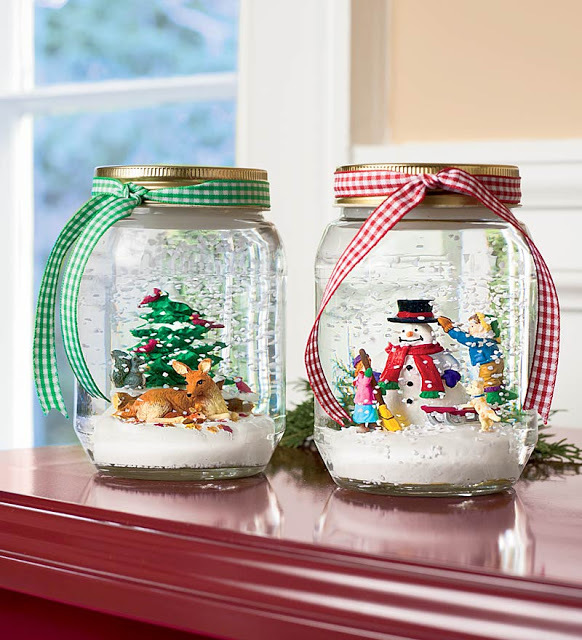 Just like these adorable snowman and reindeer Christmas globes.